nice! btw do you know this spider's name? 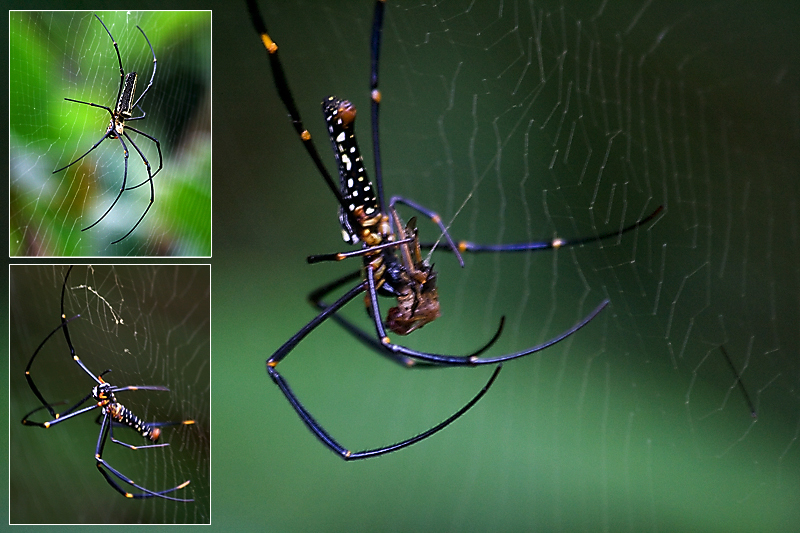 I have a pic of the same spider taken in my home garden last week :) but its not pretty as yours. i appreciate your patience...and your patience paid.you can definitely take up photography as profession. Name found and updated with the help of K =D. ohh cool! I knew these spiders are common in home gardens. I would love to see your snap too. Thanks for the lovely comment. Great! Hope we can see the results near future then :). Nope I think they are not poisonous. Thanks for the comment. Yep! I think that’s our guy. Thanks for the link mate. WOW! Super macro work Anjana. Really impressed. Looking forward for more. Thanks for sharing. As always thanks for your lovely comment Me-shak.